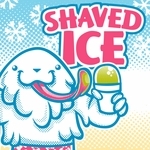 The taste and quality of your shaved ice are enough to keep your customers coming back, but first, they need to know what you’re selling. 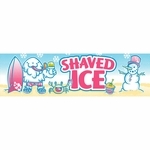 Displaying an attractive, eye-catching ice sign is important for any successful shaved ice business, and 1-800-Shaved-Ice carries a wide variety. 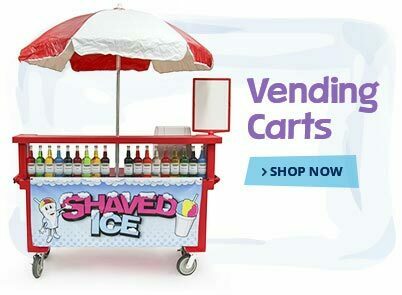 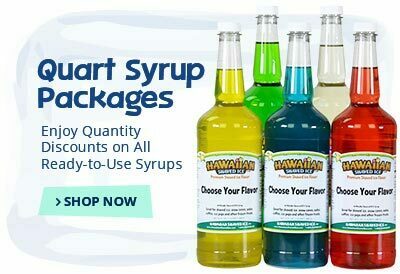 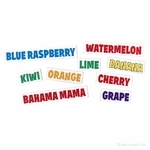 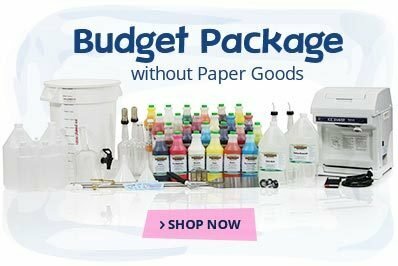 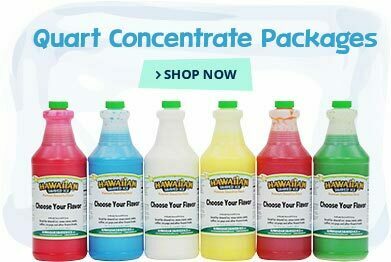 For unbeatable low prices, these colorful, ready-made shaved ice banners promise to attract customers to your cart or concession stand. 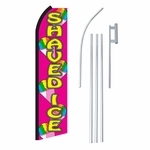 1-800-Shaved-Ice’s fun Shaved Ice Man banners come in a number of different sizes to display anywhere. 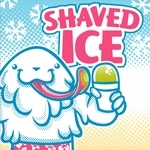 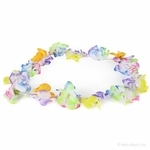 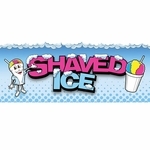 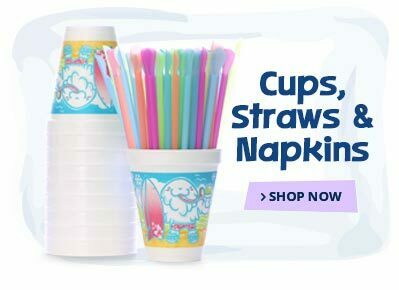 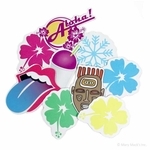 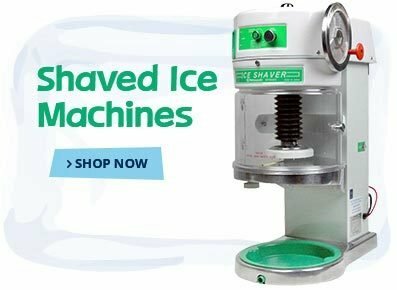 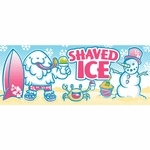 They feature an icy blue background with the words “shaved ice” emblazoned across the front, and a happy little man in the form of sweet shaved ice points customers in the right direction. 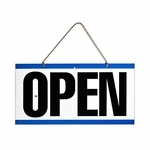  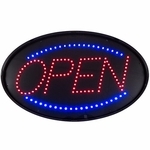 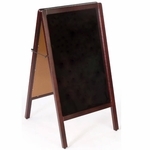 These ice signs come in long, skinny sizes to display across the front of your stand or large, square shapes to hang on a wall or fence nearby. 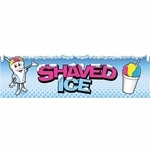 Like all of our products, 1-800-Shaved-Ice’s signs and banners will help you to advertise your shaved ice business on a budget.